Offered Tail Lifts are the mechanical devices, which can be permanently set up on the rear of a lorry, work truck or van. These have been designed to proffer the materials handling of various goods from ground level. The employment of these products can obviate the unnecessary utilization of machinery such as the forklift trucks to load the dense items on to a vehicle. Ideal for applicability in in parks for the handling of waste bins, these facilitate loading/unloading operations as well as speeds up operations with reduced tiredness for operators. 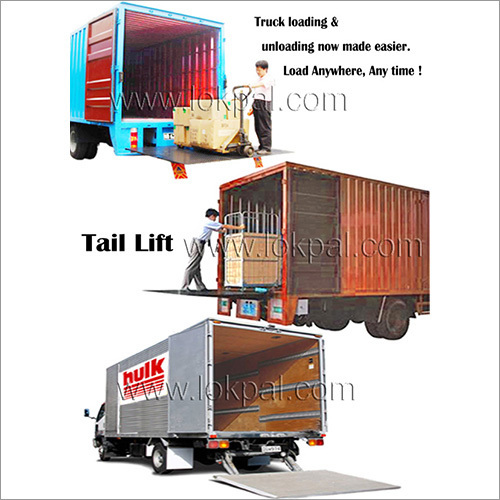 These environment-friendly Tail Lifts also enable the reduction of management as well as maintenance costs.